Radisson Hotel Monterrey San Jeronimo is a 4.5* resort located in Monterrey-Galerias, Mexico. It features 98 rooms. 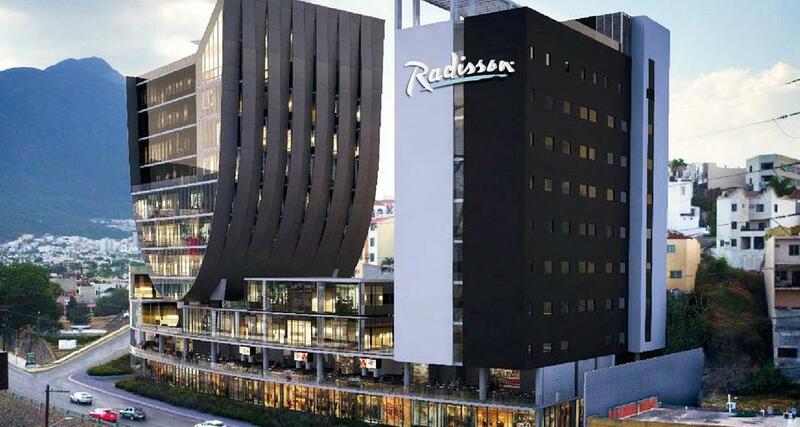 Radisson Hotel Monterrey San Jeronimo is a modern property that features excellent business services and is located on one of the main avenues of Monterrey. It is situated in a fun area of the city, within a shopping mall and offers easy access to downtown and the exclusive area of San Pedro Garza Garcia. The property features a rooftop terrace with a panoramic pool, an outdoor hot tub and a bar. Radisson Hotel Monterrey San Jeronimo also has a 24-hour fitness center, a restaurant with room service, and a lobby bar along with modern air-conditioned guestrooms that are equipped with a smart TV, a work station and a mini-fridge.